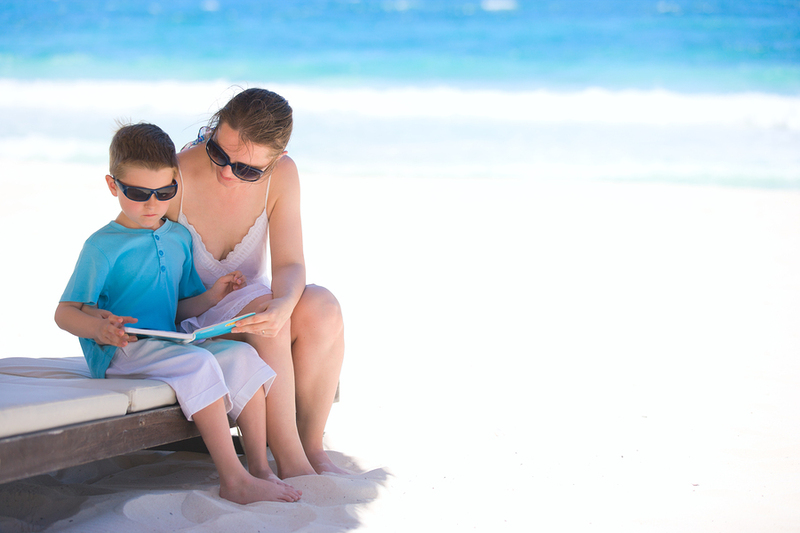 From the Archives – Is It OK to Take a Child Out of School for a Family Vacation? With school back in session, it seems like now was a great time to revisit taking a child out of school for family travel. This was originally posted February, 2015. For some reason, it seems that my Facebook feed last month was filled with whether or not children should be pulled out of school for vacation. The New York Times even had a blog article about it on January 15. I know this is controversial, but my husband and I have made the choice on several occasions to take our son out of school to travel. I certainly think parents should have that choice, but I’d also like to share some of our “do’s and don’ts” that have made it work well for us (and, hopefully, less painful for his teacher). If you decide to take your child out of school, I hope these work well for you, too. 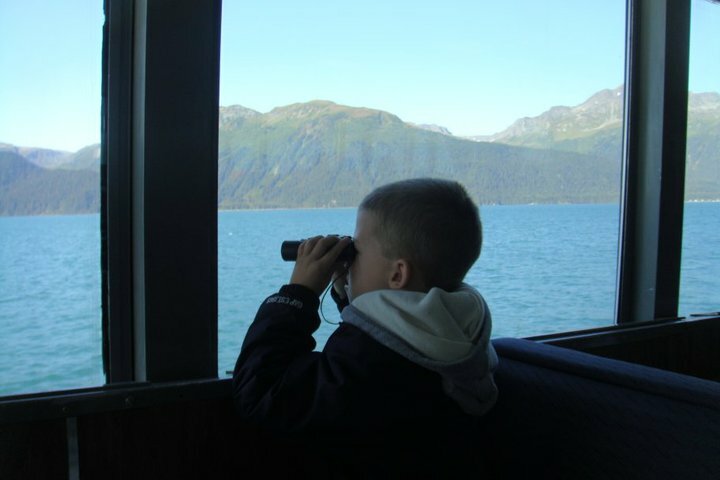 My son watching for whales and other wildlife in Alaska. We DON’T schedule a vacation during school that could be scheduled during breaks. Generally, we only take our son out if the dates for the trip or event are out of our control. For example, I had a business trip to Alaska in mid-September one year. By tagging on a vacation to that trip, we were actually able to go somewhere that we may not have gone otherwise. I couldn’t control the dates because it was a conference I was attending and Alaska was a rare treat. In addition, our son, a first-grader at the time, had some great experiences viewing wildlife and going sledding on a glacier, which could be viewed as educational, especially for that grade, as well. Our next trip to Walt Disney World, however, is over his fall break with no missed days. On that note, we DON’T do it often or for long. He’s never missed more than four days for a vacation and it’s generally only once a year. We DO understand that we are creating more work or at the very least inconvenience for our child’s teacher and do our best to work with her to minimize it. While our son’s teacher has lesson plans and great ones at that, sometimes what she plans for a day and what actually happens are two different things. As such, it can be impossible for her to send work ahead of time. In addition, if our son misses any tests, she will have to use time outside of class for him to make them up. I do my best to work with his teacher to get my son caught up including coming in to proctor his missed exams in her classroom after school and working with him at home on missed classwork. I also volunteer in her classroom throughout the year so she knows that I value her time as well. We DO look at the school calendar to make sure our son isn’t missing the “cannot be missed” stuff like mid-term or final exams, state-mandated testing weeks, fine arts programs, or major in-class presentations for book reports or the science fair. The first days of school are also difficult as it’s a time when children get adjusted to their new classroom, teacher, and make new friends. Some things are just too difficult or impossible to make up. Speaking of which, we DO understand that he will miss some things regardless of when we schedule and regardless of our good intentions. 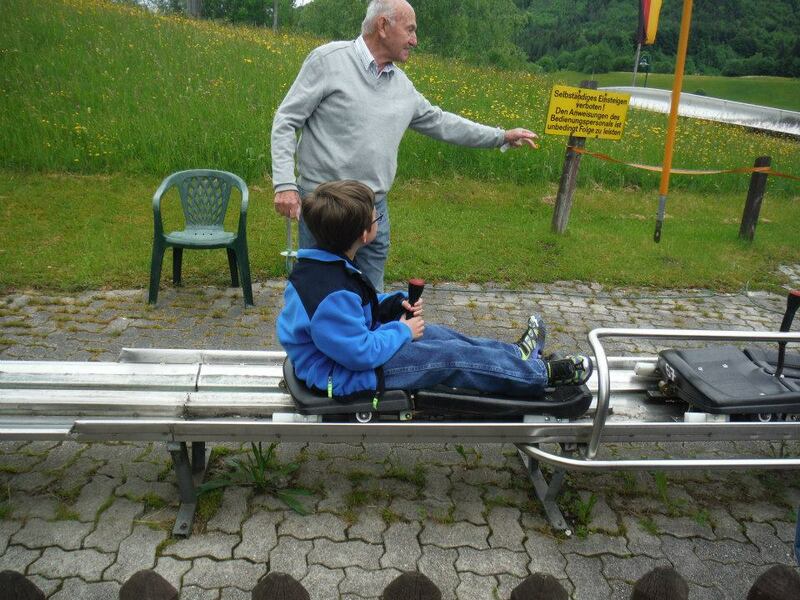 My son taking a break from castles and museums on an Alpine Slide near Salzburg, Austria. We DO work with our son, not only when he is going to miss school, but throughout the year to make sure the few days missed won’t overly affect his grades. Getting behind may not only affect his grades, but can easily frustrate him as well making the vacation time a negative instead of a positive. Knowing what he’s working on in class allows us to continue that work through the vacation whether we have the work ahead of time or not. We DO understand that just like at our places of employment, the days before and especially the days after a vacation can be very hectic with extra work and it’s likely to be no different for our son. In order to prepare to leave and to make up the work when he gets back, he’s going to have to complete the missed work in addition to the regular work resulting in a day or a few days that seem like all we’re doing is schoolwork. As you can see, we are able to make vacations during the school year work for us, but it isn’t always easy. It takes planning, patience, and a willingness to put in extra time before and after. I, though, think the vacations we have taken when school was in session have been worth it. He is seeing the world and getting a broader education than the three Rs. No field trip to the zoo needed here. 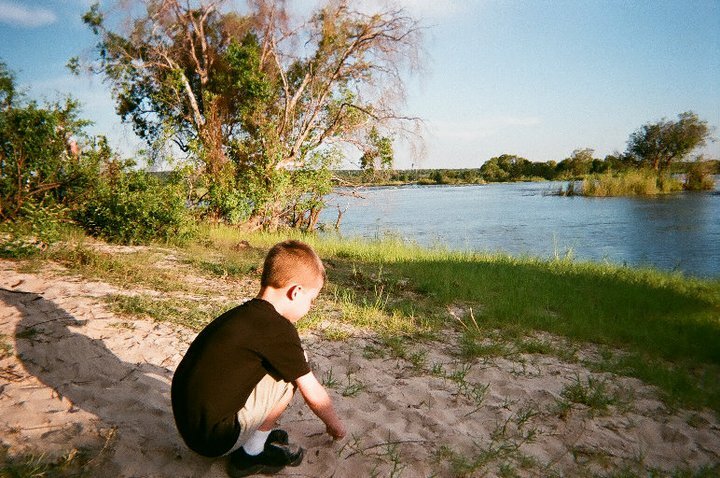 My son is playing on the shore of the Zambezi River in Africa during a wildlife cruise. This entry was posted in General Travel, Mousellaneous Mondays and tagged family travel on August 31, 2015 by kim051172.